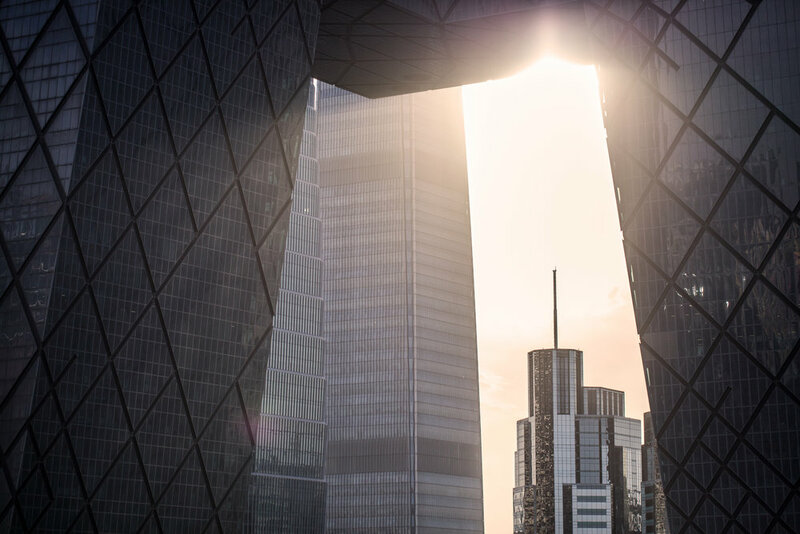 That very moment when I was about to grab my camera bag, I felt like something was hitting right into my eyes and then I started to slowly see the sun shines through the gap of the CCTV building. It was beautiful and I went totally speechless because I had no words for it. After a few seconds when I put myself back together, I told my friends... Steven and Myron. Hey, look at that! !, I need this shot. I was looking for my camera without knowing I was actually holding it. Some of you may be questioned why I had to be that excited? It may be meaningless to you but it does mean a lot to me. To me, I always relate the sun to "HOPE" - as long as there are lights, there must be a way out. We all live with hope and hope moves us forward to what we want in our life. and this would be another moment I would remember and keep it close to my heart. I believe in an unexpected moment like this so I seized the moment. I got the shot below and I am just so happy with it. And thank you Steven (@miro_zhe), my friend and rooftopping mate for this wonderful shot of mine.